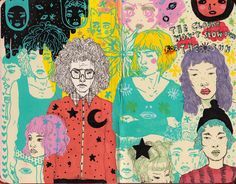 Adult coloring books have a lot of possibilities. 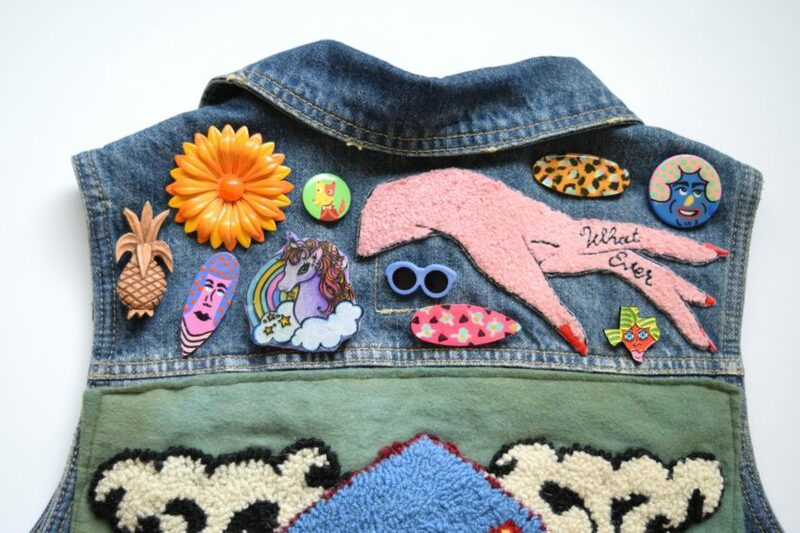 You can use them to adorn onesies, up your pin game with a unicorn or even whip up a cute backpack charm. Sure, just coloring the pages is fine too. 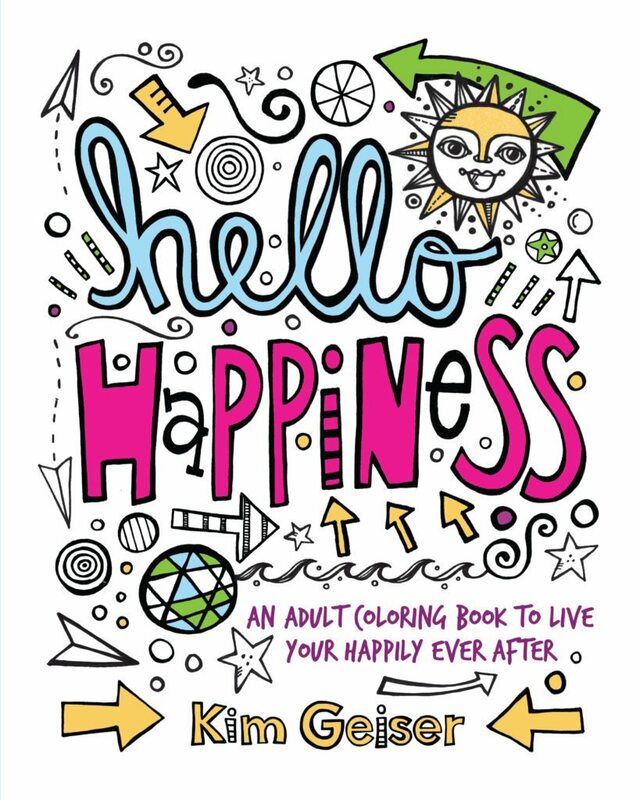 When artist Kim Geiser sent over Hello Happiness: An Adult Coloring Book to Live Your Happily Ever After I knew I had to make some of these pages wearable. The graphics are just too cute to keep inside a book forever. Hey guess what, I’m giving away a copy of Hello Happiness! Leave me a comment and I’ll pick a lucky winner on St. Patrick’s Day. Get it, luck, win, contest. Boom! 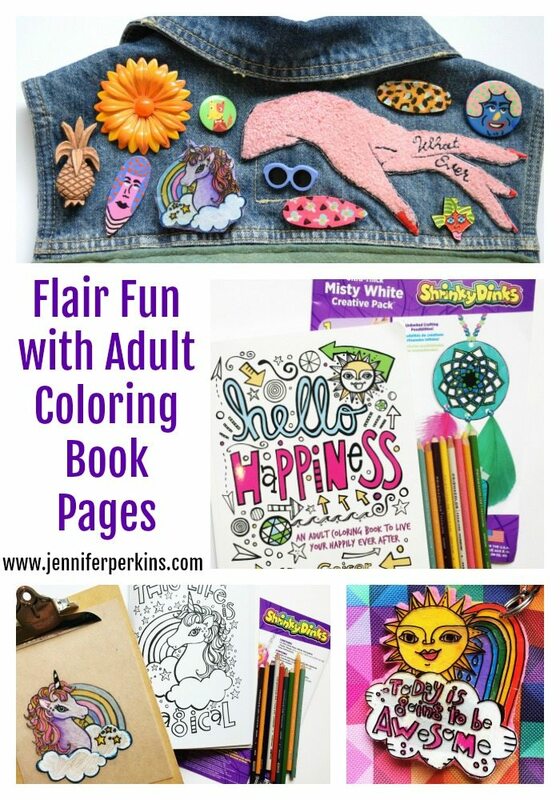 What will you make with your coloring book? Remember, just coloring the pages is A-ok (the book has 55 amazing pages to color). However, if you want to show off your mad shading skills to the world read on. I’ve said it before, but I’ll say it again: If I’m making fantasy unicorn flair there is a really good chance one of my children is sitting next to me making their version of the same project. My 8 year old daughter was not about to let me have all the coloring fun so this is her backpack charm tutorial. I can’t take credit for the coloring. 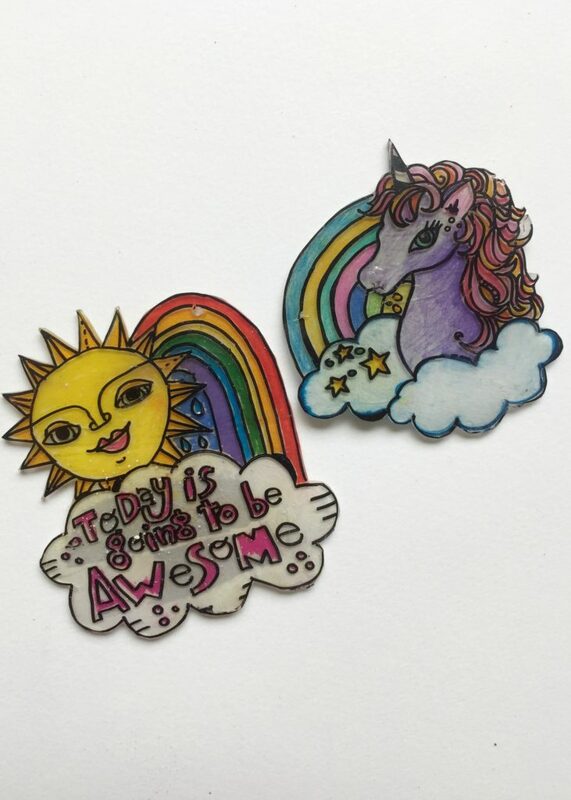 However if you want to see my unicorn pin, also made from a page in Hello Happiness head over to the Treetopia blog. Nobody tell my 8 year old that these books are supposedly “adult” coloring books. 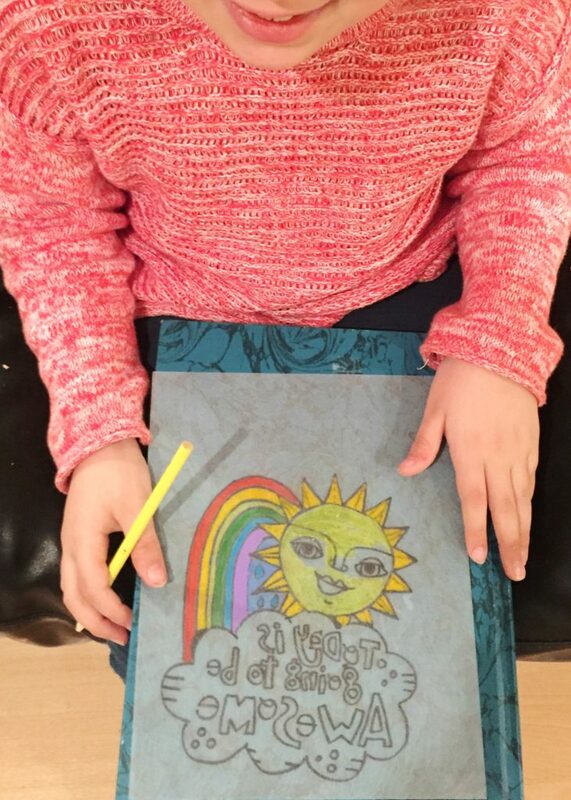 She colored this groovy sun and rainbow just fine. On the flip of that don’t judge me for having a stack of vintage coloring books in my own personal arsenal. One of my favorite parts about Hello Happiness is all the great positive affirmations that accompany the graphics. You really do just feel a little bit perkier when you color these. I copied the pages out of Hello Happiness, printed them and then traced them onto Shrinky Dinks paper with a Sharpie. I traced on the shiny side and we colored with map pencils(we used Prismacolor) on the dull side. After we finished coloring the next step was cutting out the designs. 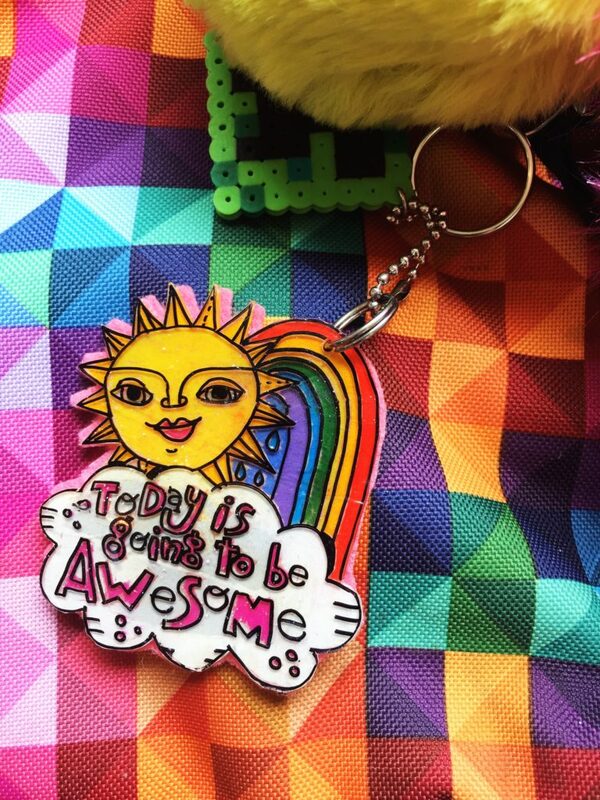 If you are going to make the design into a necklace, charm or key chain now is the time to punch a hole. Follow the manufacturers instructions for cooking and shrinking. 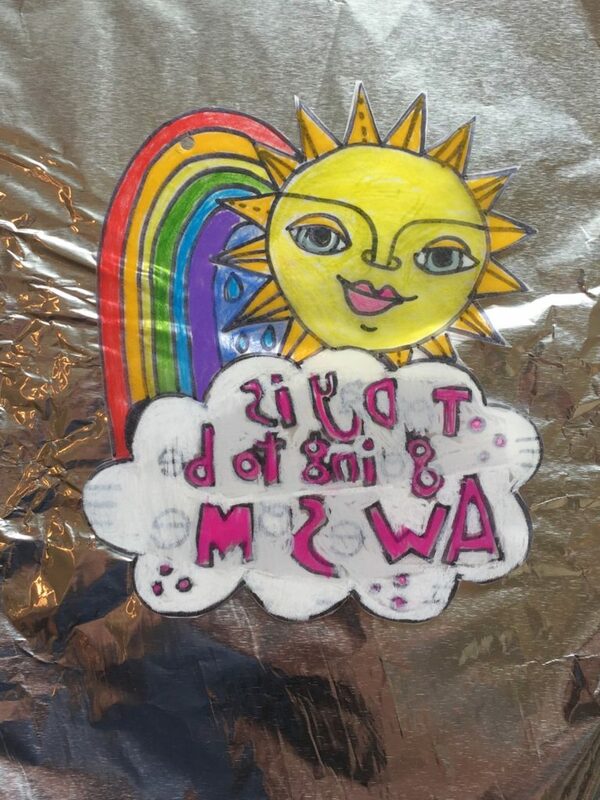 In this case the Shrinky Dinks called for cooking on foil. 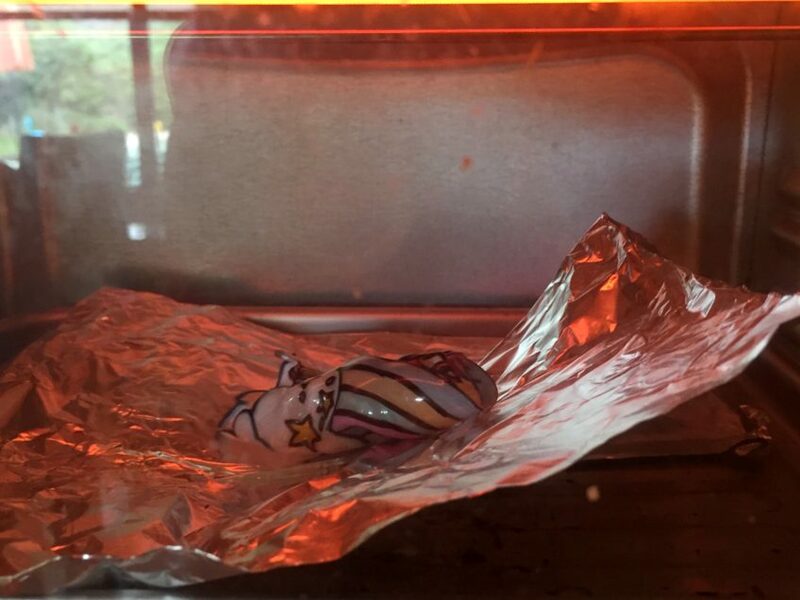 Watching Shrinky Dinks cook now is just as exciting as it was when you were a kid. I used a toaster oven, but a regular oven works too. Once the charms have cooled you want to give them a protective top coat on the side you colored so I backed mine with felt using craft glue. 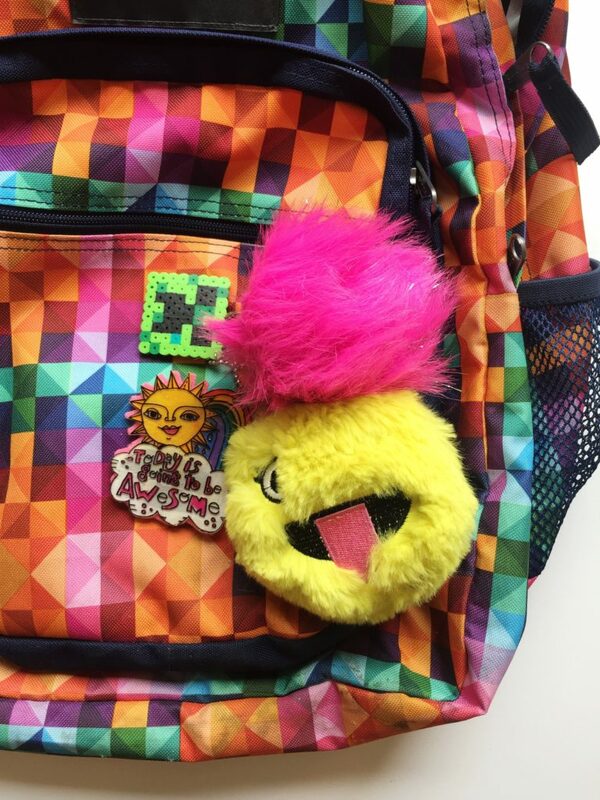 My unicorn pin is living on my jean jacket and my daughter’s sun is living large on her backpack. So as I mentioned sure you can use a coloring book to just color, but you can also do so much more with it. 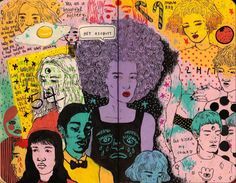 There are so many amazing graphics and empowering sayings in this coloring book you are going to want to wear it, frame it, embroider it and of course color this book like crazy. I’ve got one copy to give away just leave me a comment below. 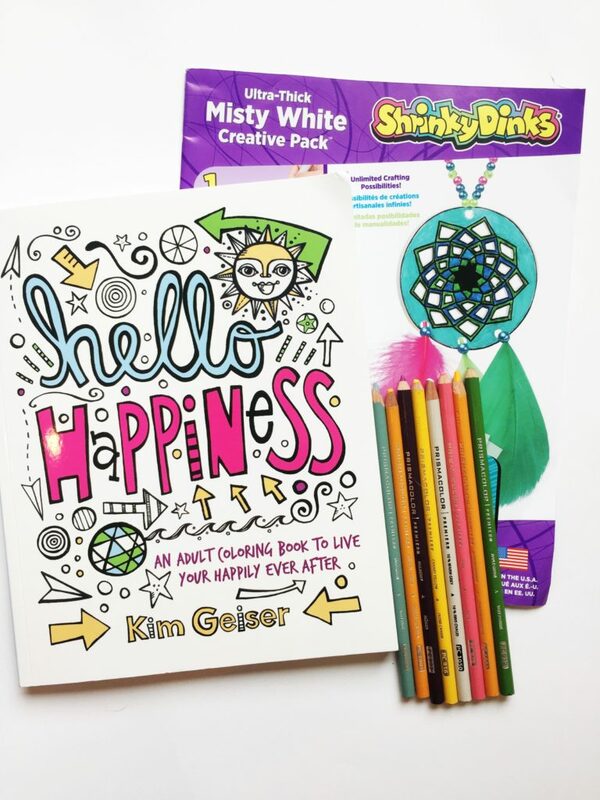 Please note that I am brand ambassador for Treetopia and Kim Geiser, ShrinkyDinks and Prismacolor all sent me free supplies. However all opinions are my own and I loved coloring, crafts and unicorns long before this. Want more rainbows? Sure you do! 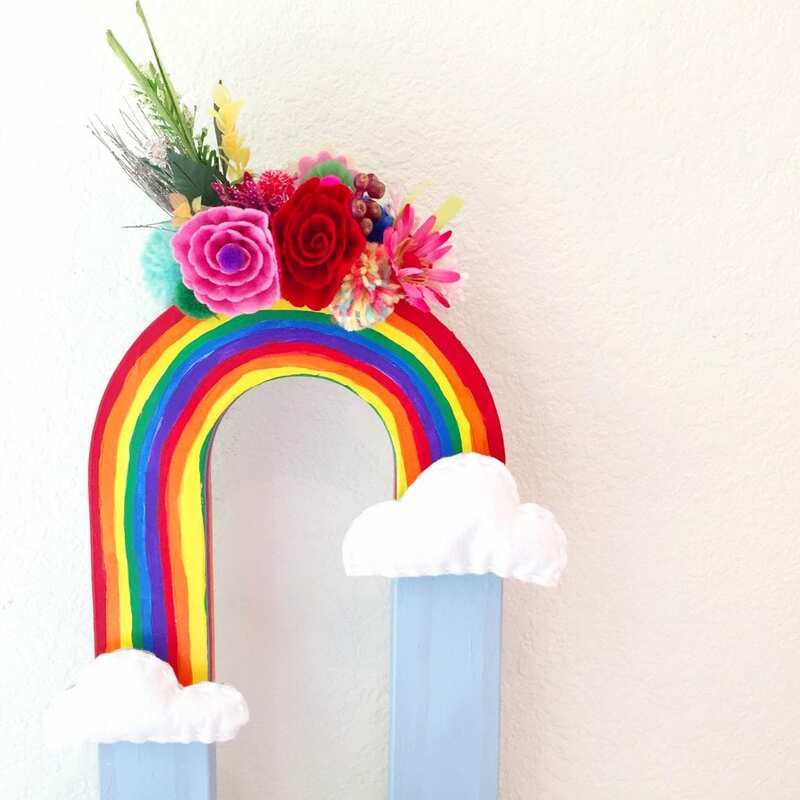 Rainbow Vases – the cutest easiest vases made from a cardboard letter U this side of the Mississippi River! 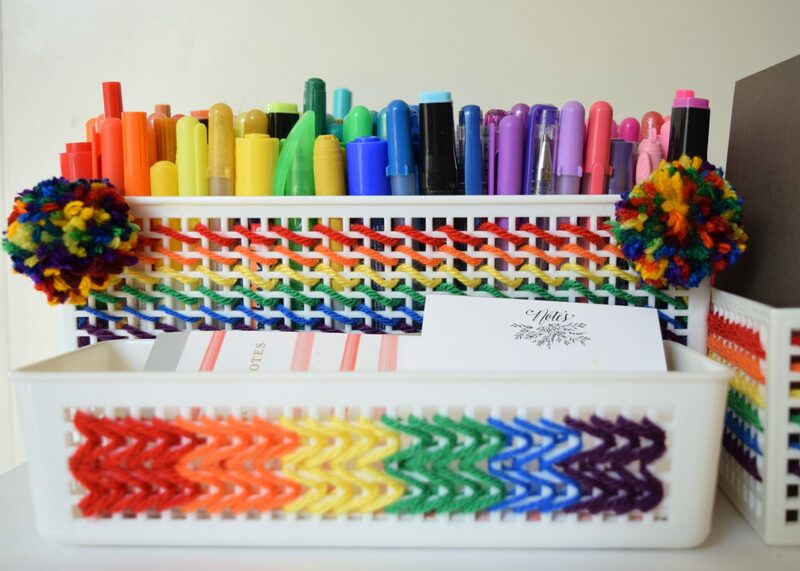 Stitched Storage – I opted for rainbows, but if it has holes and you have yarn, you do you. 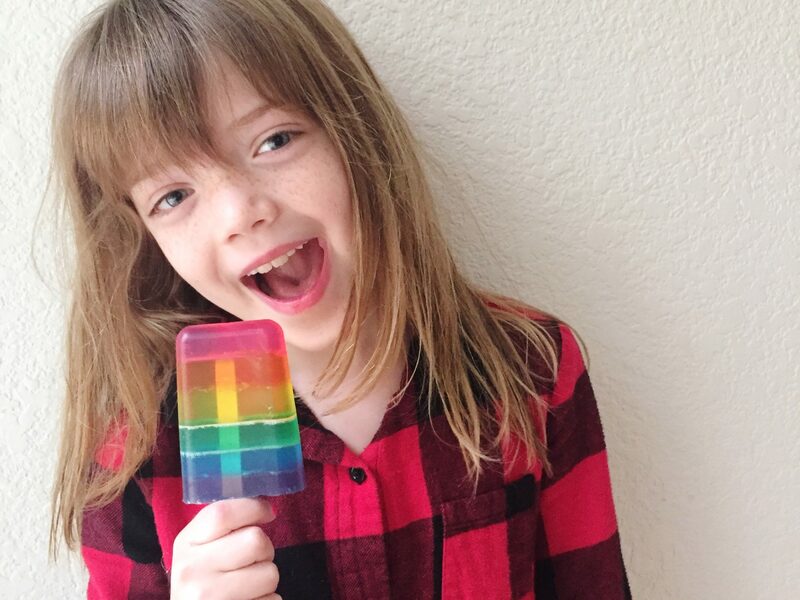 Rainbow Soap Pops – They look good enough to eat, but I wouldn’t! Posted March 6, 2017 & filed under Crafts, Kids Crafts, Wearable Crafts. I’m heading back up North and always do crafts with my grandchildren. 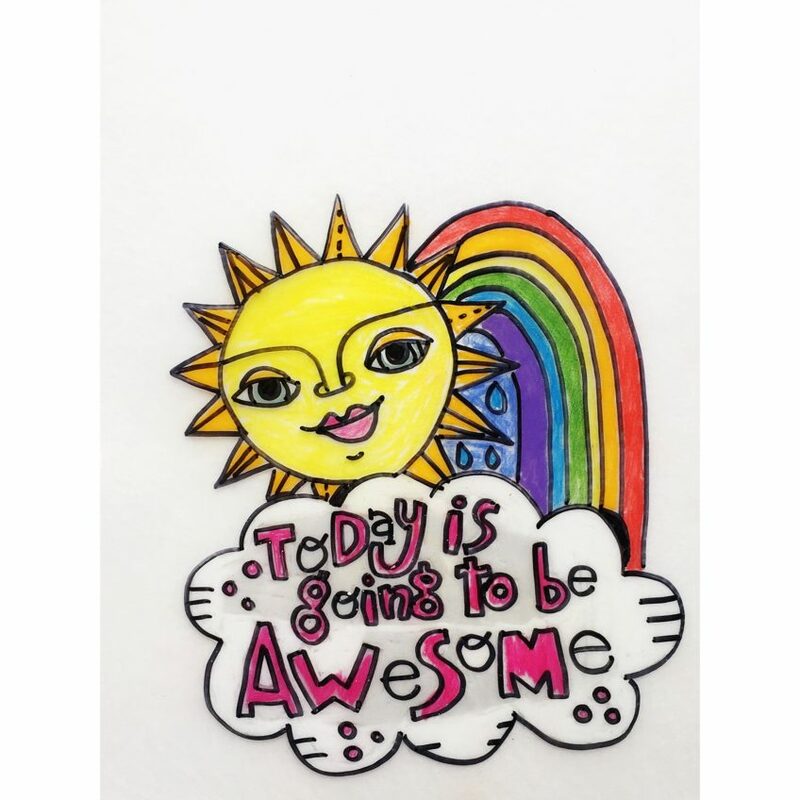 They would love this….I quess Michaels or Hobby Lobby would have the blank shrinky dinks paper….never realized they have it plain…..thanks for the idea. I ve been planning ideas. Oh this just took me back to my childhood! I gotta try this with my daughters! They would have a blast with this! So perfect. 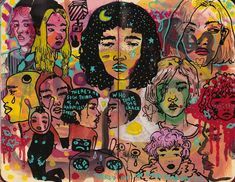 My daughter and I love making art together, she doesn’t believe in “adult” coloring books either! I’d love to have this book to add to our collection. 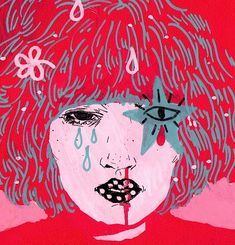 We often cut out the pictures to make new art– would love to try ShrinkyDinks sometime! what fun! 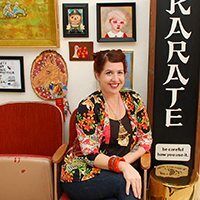 i’d make pendants for some groovy necklaces!